The Chapramari wilderness camp on the fringes of Chapramari wildlife sanctuary in Panjhora is a unique place to stay during the sojourn for wildlife enthusiasts. Camping in the traditional cottages and savoring the view of the vast sanctuary is a dreamy stuff. 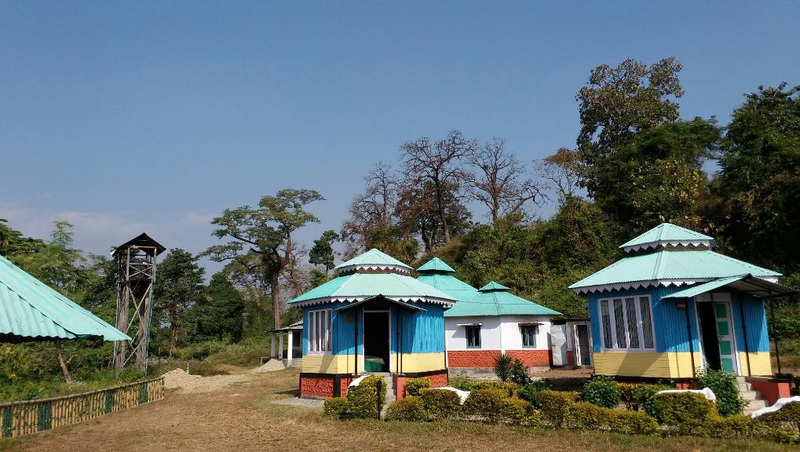 The camp is maintained by West Bengal Government Forest Department and it is indeed the best option for visitors to stay. It enjoys a fantastic location within the forest. When you drive to reach the camp which is only a kilometer off the NH-31 highway you might spot wild animals enroute because the road runs through the middle of the forest cutting it into halves. Moreover, its location beside the Murti River offers various interesting sights for the visitor.